July 2016 and elements took to the majestic and remote landscape of Glen Doll where we were tasked with the repair of the Roy Tait Memorial Bridge. The bridge lies on Balmoral Estate and royal approval had to be attained for its’s original construction in 1984 in memory of Roy Tait. We at elements were delighted to have been successful in the tender to repair it and return it to a safe standard. 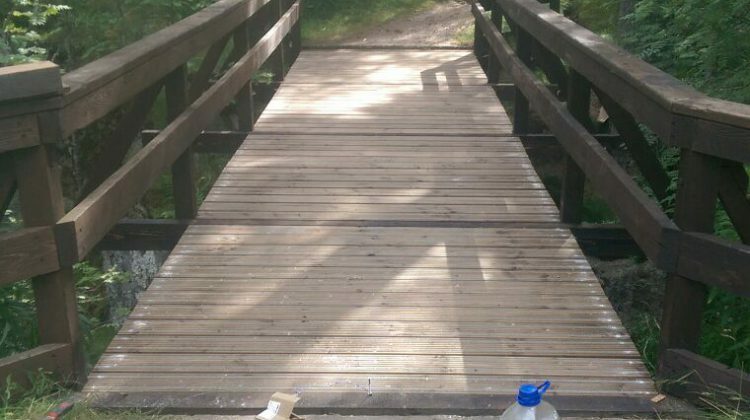 The bridge itself spans a deep gorge and that along with the remote access and of course the midges ensured it was an interesting and challenging job – right up our street. We even managed to be interviewed by Radio Scotland whilst on site, listen to the clip below at 12:49 minutes.